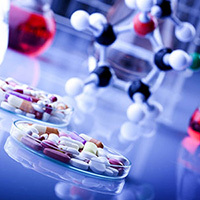 Berlin Pharmaceutical Industry is a privately held company, and the board of directors is chaired by Prof. Dr. Termchai Chainuvati, a son of the founder of the company. Prof. Dr. Termchai is a leading liver specialist in Thailand who was educated in Thailand and the U.S. In Thailand, he graduated from Chulalongkorn University and studied medicine at Siriraj Hospital. He interned at the Jewish Hospital of Brooklyn; and completed residency in medicine and fellowships in Gastroenterology and Hepatology at the Veterans Administration Hospital of Brooklyn. He has held key positions in numerous professional societies, including as Chairman of the Liver Foundation of Thailand; President of the Royal College of Physician of Thailand; Secretary General of the Asian Pacific Association of Gastroenterology.